When third party candidates crop up with a leftward tilt, it's worth fully supporting getting that information out there. It's far better to see the left split the vote than to see it happen on the right and see Tea Party candidates killing GOP candidates thereby effectively enabling more Democratic rule. A fractured right is damaging in the long term for conservatives. A fractured left is always helpful. So seeing this sort of thing, is encouraging. Marianne Williamson, the best-selling author whose “A Return to Love” spent 39 weeks on the New York Times bestseller list in 1992, announced Sunday that she is running as an independent for the US House of Representatives in California’s 33rd District, a seat currently held by 74-year old Democrat Henry Waxman, one of the most powerful members of Congress. 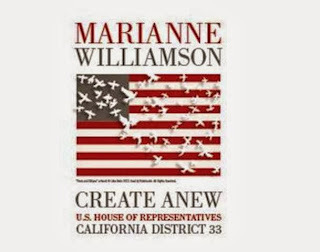 Williamson, who made her candidacy official Sunday afternoon at the Saban Theatre in Beverly Hills, has written extensively about the moral and spiritual underpinnings of US politics in many of her books, including “Healing the Soul of America,” a 2000 best-seller that focuses on transforming spiritual activism into social activism. Williamson writes on her campaign website that Waxman has been a good representative for 38 years and that she does not consider him an opponent. Rather, she sees them both as simply different candidates for the same position. In seeking to encourage “a new consciousness regarding our political discourse,” Williamson hopes to stem the trend toward corporatism that has been so prevalent in recent decades. That's a certainly a liberal candidate. Let's hope it amounts to a serious challenge. 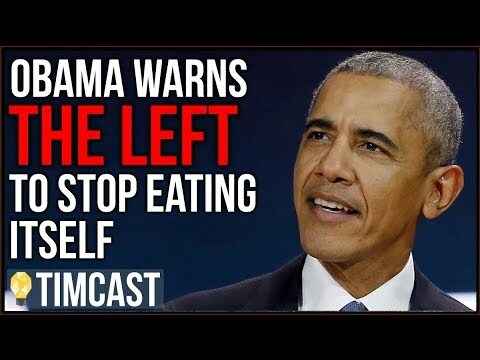 If the left splits functionally, that would be the only viable way for the Tea Party to split off from the GOP and be anything more than a spoiler party.